Fully synthetic zinc-free ECL for hydraulic systems. Based on saturated ester. Enables much longer oil change intervals «lifetime filling».Applications: mainly as hydraulic oil for earth-moving, forestry and industrial machinery, steelwork and hydraulic structures. Blue Angel, Croatia Eco-Label, Czech Eco-Label, Japan Environment Association Eco Mark, Korea Eco-Label, ÖNORM, RINA Green Plus, Swedish Standard. Fully synthetic, zinc-free ECL for hydraulic systems. Based on saturated ester using naturally regenerative resources. 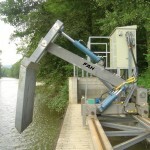 For hydraulic applications where hydraulic fluids complying with the European Eco Label are prescribed. European Eco Label, Authority for Regenerative Raw Materials e.V, Poland Eco Label, RINA Green Plus, Swedish Standard, USDA Bio Preferred, VAMIL Regulations. Zahlreiche Hersteller-Freigaben vorliegend/approved by numerous manufacturers. 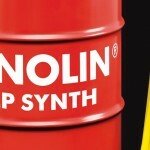 PANOLIN HLP SYNTH was developed about twenty years ago as a high-tech oil for modern hydraulic systems. PANOLIN went its own innovative way. While all other manufacturers based their biodegradable lubricants on vegetable oils, PANOLIN used a saturated synthetic ester basis. PANOLIN HLP SYNTH is a well-established leader among rapidly biodegradable hydraulic fluids.